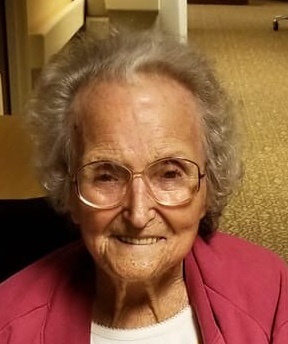 HURON – Helen M. (Sternberg) Taylor, 89, of Huron, passed away peacefully at Admiral’s Pointe Nursing & Rehab, Huron, on February 13, 2019. She was born to the late Dilbert and Estella (Bostater) Sternberg on August 30, 1929 in Huron, where she eventually met her husband, Marion, “Snooks” Taylor, and celebrated 62 years of marriage before his passing on May 5, 2011. Others preceding her in death include her sister, Ella Blume, half-sisters, Margaret Bye and Eleanore Mingus, and brothers, Adam and Robert Sternberg. Helen is survived by her children, Bradley (Pati) Taylor, Nicholas Michael Taylor, Becky (Hestel) Stout, and Randy (Cheryl) Taylor; 9 grandchildren, and 10 great-grandchildren that were the love of her life. Helen was a true artist at the craft of crocheting. Many of her master pieces were freely donated to organizations, friends, and relatives. She was very proud of her unofficial title of “Bingo Queen.” Recently in her spare time she enjoyed working even the hardest of jigsaw puzzles in record setting time. Friends may call Saturday April 13th from 10 a.m. until time service 11 a.m.
Those wishing to contribute to Helen’s memory may do so to Stein Hospice, 1200 Sycamore Line, Sandusky, 44870. Online condolences may be share at www.fosterfh.com.